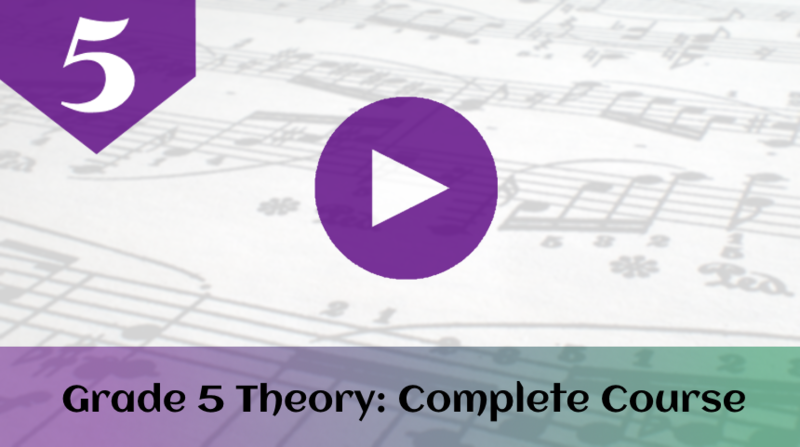 This lesson looks at how to work out a time signature from a printed score. The extract of music will be either in regular time or irregular time. In regular time, each bar is divided into two, three or four main beats. In irregular time, the bars cannot be divided into two, three or four. Notes are grouped together to show where the beats fall. Look for ties, rests and beams to help you. When there is a tie, the second tied note normally starts a new beat. When notes are beamed together, they are grouped into complete beats. The first beamed note starts a new beat. Rests are placed to create complete beats. Smaller rests are used to make it clear where the beat is. There are clearly 2 beats in this time signature. The crotchet is one beat, and the other notes are linked together with a beam to make the second beat. Why are there two tied quavers instead of a crotchet? Because the second quaver falls on the second beat of the bar. There are two beats per bar in this time signature. The notes are beamed together to make three beats. The semiquavers are not all beamed together - there is a break after the second semiquaver, because the third semiquaver starts a new beat. There are three beats per bar in this time signature. The beamed group shows a complete beat. There are five beats in total. This is an irregular time signature. Here, the rests show how many beats there are. Two crotchet rests show that there are three beats in the bar. A smaller quaver rest is used first, so that the dotted crotchet rest can show where the second beat starts. There are two beats per bar. When you know how many beats there are in each bar (2, 3, 4 or irregular), you need to work out the type of beat. There are two crotchet beats per bar. There are two dotted crotchet beats per bar. Each beat is equal to one dotted crotchet (crotchet plus quaver). There are three dotted crotchet beats per bar. There are three minim beats per bar. The second tied note shows where the third beat starts. Also the break in the beam shows where the third beat starts. This time the break in the beam is in a different place. The second beat starts with the second beamed group. There are two dotted minim beats per bar. When the beat is not dotted, the time signature is simple. The top number of the time signature will be 2, 3 or 4. 2=two beats per bar, 3=three beats per bar and 4=four beats per bar. When the beat is dotted, the time signature is compound. The top number of the time signature will be 6, 9 or 12. 6=two dotted beats per bar, 9=three dotted beats per bar and 12=four dotted beats per bar. When the beat is irregular, the top number of the time signature is the same as the number of beats e.g. 5 or 7. When the beat is a minim, the bottom number is 2. When the beat is a crotchet, the bottom number is 4. When the beat is a quaver, the bottom number is 8. When the beat is a dotted minim, the bottom number is 4. When the beat is a dotted crotchet, the bottom number is 8. When the beat is a dotted quaver, the bottom number is 16. These are the pairs of time signatures which cause the most confusion. 3/4 and 6/8 have the same total number of notes per bar. 3/2 and 6/4 have the same total number of notes per bar. The difference is that 3 means triple time and 6 means duple time. Time signatures with a top number 3 will have notes grouped into threes. Time signatures with a top number 6 will have notes grouped into twos. Here is an example. Look very carefully at how the notes are grouped together. In 3/2, the the third quaver starts a new beamed group, to show where the second beat starts. In 6/4, the four quavers are beamed together because they are part of the first dotted minim beat. The second beat starts on the crotchet. Here's a question for you to practice. What is the time signature? Point your mouse at the stave to reveal the answer!